Rear view of 40 & 42 High Street. These cottages have been demolished but stood between the Quorndon Fox and the White Hart. Pumps were in many back gardens prior to 1890 when the Local Board in Quorndon made arrangements with Leicester Corporation to supply water to the village for which the Local Board was charged at the rate of 4d per 1000 gallons. 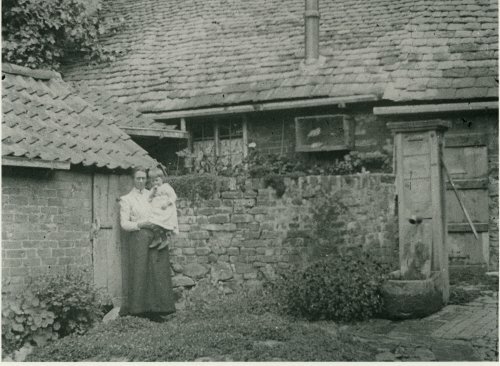 There were 625 inhabited houses in 1920 of which 231 had water closets, 375 had pan closets and 19 used middens.